Rose Otto is one of the most expensive essential oils you can get - I mentioned this in my review of Balance Me’s Rose Otto Body Oil a few weeks back. It is also one of my most treasured – I may have mentioned that too! The Balance Me product is a wondrous formula, made more wondrous by its price. 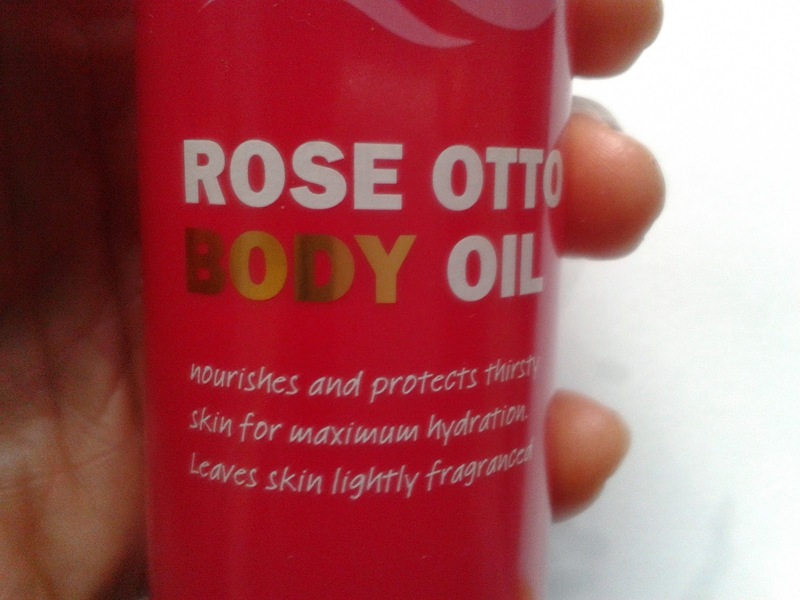 At £24.50 for 200ml, it represents extremely good value for money compared to other luxurious rose otto body oils. So imagine my reaction at spotting these little gems above, picked up for just a fiver (yes, for both! ), in Sainsbury’s while doing the weekly shop. 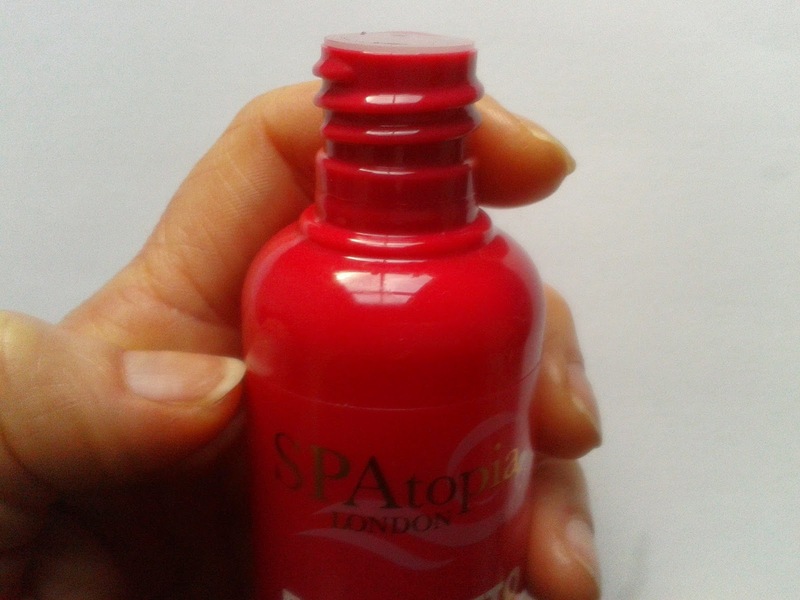 SPAtopia London is not a brand I have previously come across, but it seems to be exclusive to Sainsbury’s (though oddly this range I have here doesn’t appear on the brand’s website – the Dead Sea and Argan Oil lines feature only). 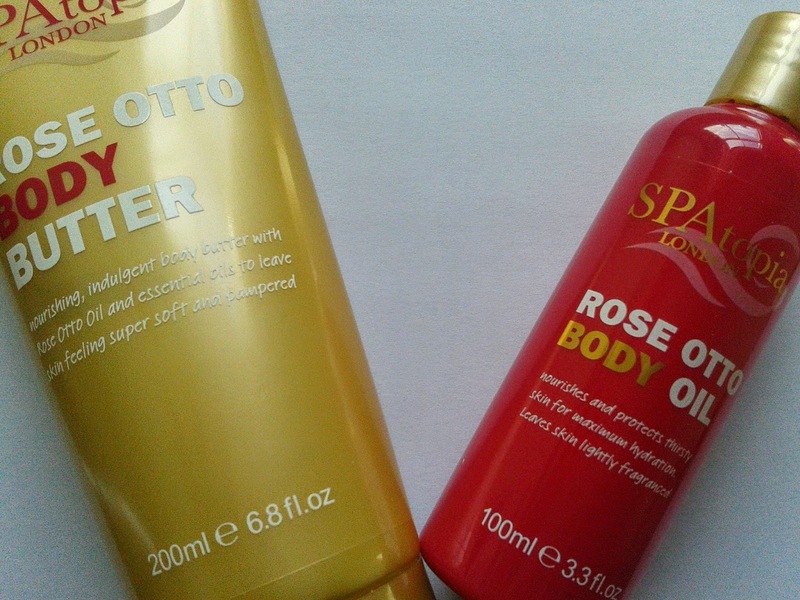 The SPAtopia Rose Otto body range is currently at half price (time of post) at Sainsbury’s - £3 for the oil (100ml) and £2 for the butter (200ml). Naturally the body butter and a couple of the oils made their way into my supermarket trolley, nestled alongside the 2 x 4 pints of full-fat milk, 4 x 4 pints of semi-skimmed, one 4 pinter of 1%, one baguette stick (for hubby), one granary loaf (for me), one sliced white (for the kids),.… it never ceases to amaze me how complicated our weekly shop is! Back to the rose otto products. I reckoned the answer to the bargain prices would lie in the ingredients list. So, the first thing I did when I got home was to compare said list with the Balance Me formula. As suspected, herein lay the answer. The first few ingredients on the SPAtopia Rose Otto Body Oil are paraffinum liquidum (mineral oil), thickening agent isopropyl myristate, and fragrance. Rose Otto comes about three quarters of the way down (after various citrus oils and lavender). The first few ingredients on the 100% natural Balance Me bottle are olive fruit, grapeseed and wheatgerm oils (followed by a whole bunch of other oils). Rose is high up (6th on the list). Having said that remember ‘price’, and for the money I’m not knocking the SPAtopia products one bit. 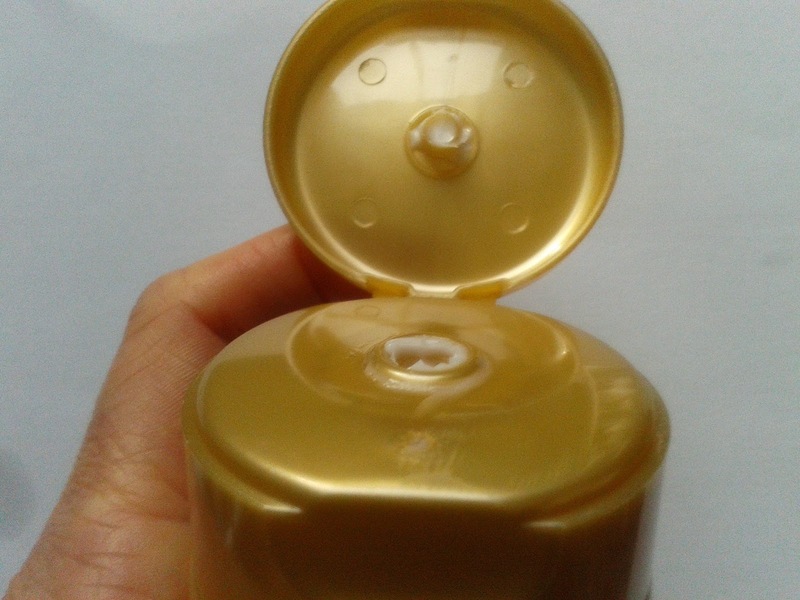 For a start, mineral oil gets a lot of undeserved bad press - it rarely causes allergic reactions and doesn’t clog pores. It is also one of the most effective moisturisers there is. For more on the truths of mineral oil, check out this article on the respected Paula’s Choice website. The SPAtopia Rose Otto Body Oil (above) has quite a kick to the scent (the added fragrance I’m guessing), and it is almost clear in colour, rather than that gorgeous golden hue you get with the more expensive formulas. 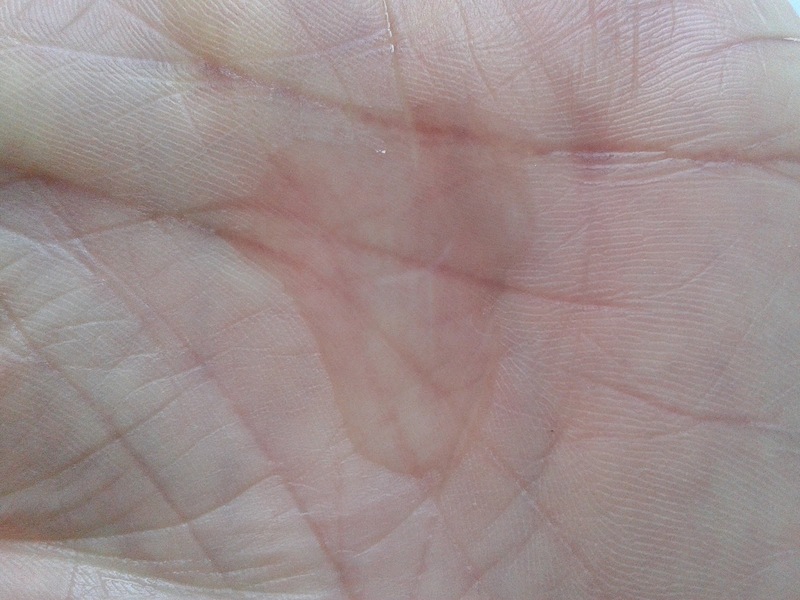 But it does a decent job of moisturising the skin. 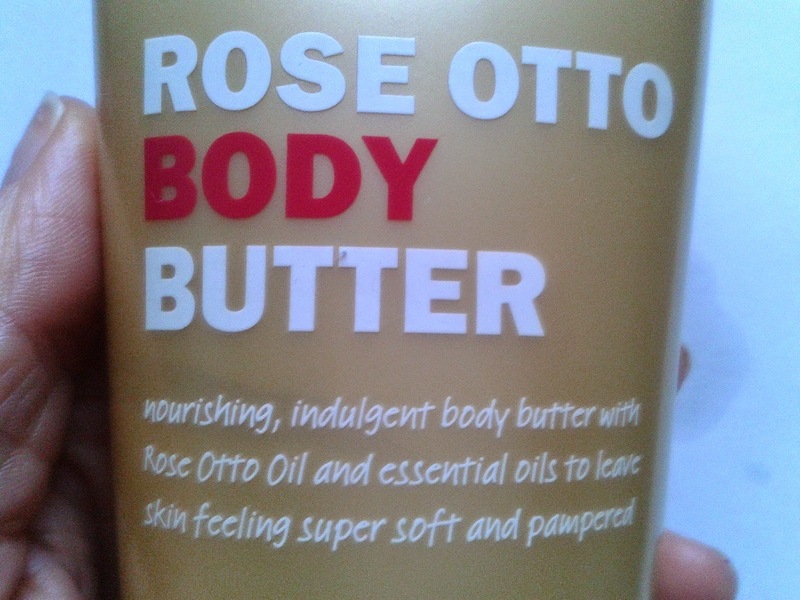 The Rose Otto Body Butter (swatched above) really is quite buttery and again does a good nourishing job. The rose fragrance is more subtle here than with the oil. There’s some lovely ingredients in the mix too, including coconut oil and shea butter. Of the two I prefer the body butter. But at these crazy prices I really wouldn’t want to be without either. The SPAtopia Rose Otto range may lack the finesse of the Balance Me’s of the beauty product world, but it offers a great option for those who don’t want to forgo their rose scented beauty fix when money is a bit tight. You can find the SPAtopia Rose Otto range at Sainsbury’s here. Ooh, I'm feeling a trip to Sainsbury's coming on - I love Rose Otto. I remember buying one gram of the pure oil once and it cost a fortune.